ASA has built a reputation for providing the aviation community with the most accurate and reliable FAR/AIM products available. 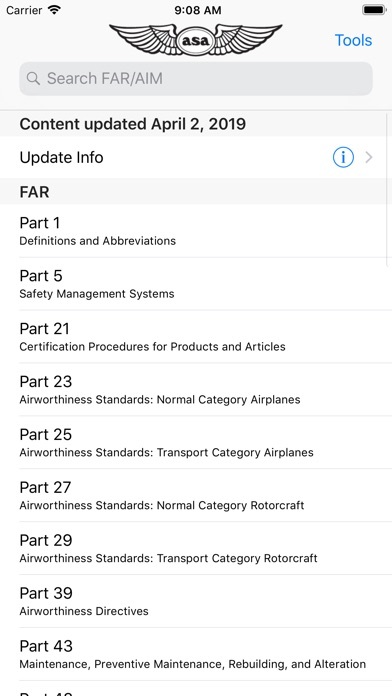 The FAR/AIM app continues this tradition, containing information from Titles 14 and 49 of the Code of Federal Regulations (14 and 49 CFR) pertinent to pilots, flight instructors, and flight crew, combined with the Aeronautical Information Manual (AIM), and Pilot/Controller Glossary. ASA FAR/AIM app features: • Free Updates provided. 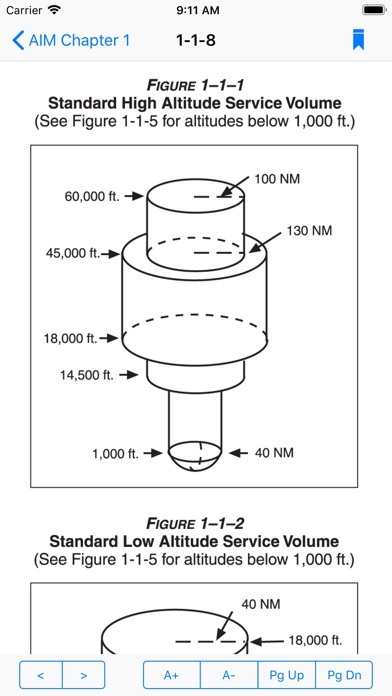 • All of the ASA FAR/AIM and FAR for Flight Crew book contents are included: 14 CFR Parts 1, 5, 21, 23, 25, 27, 29, 39, 43, 48, 61, 63, 65, 67, 68, 71, 73, 91, 97, 103, 105, 107, 110, 117, 119, 120, 121, 125, 133, 135, 136, 137, 141, 142; 49 CFR Parts 172, 175, and 830; TSA 1544 and 1552. • The complete Aeronautical Information Manual including color figures. • Pilot/Controller Glossary included. • Study by Certificate lists for Private, Remote, Sport, Instrument/CFII, Commercial, Flight Instructor, Flight Engineer, and ATP allows aviators to hone their studies to the pertinent rules for their individual certificate and operation. • Text search helps you find what you’re looking for in the FAR, AIM or both. • Profile and Landscape viewing available for easy reading and viewing figures. • Ability to increase text size. ASA tracks FAA changes daily and updates the app when regulations and AIM changes affect pilot operations. The date shown for the app's update reflects the last regulatory change affecting content. A new update will be released when a rule change affects operations. 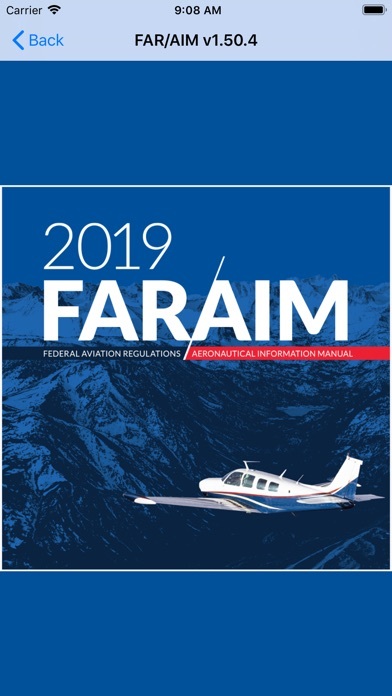 None of the material in this publication supersedes any documents, procedures, or regulations issued by the Federal Aviation Administration (FAA). 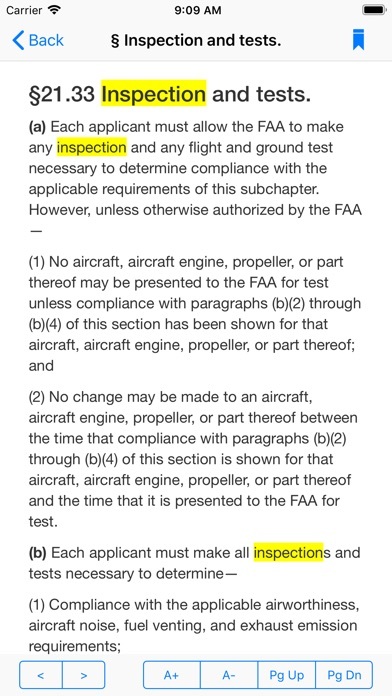 ASA does not claim copyright on any material included herein that was taken from United States government sources; all contents originate from the FAA. The app worked just fine before hand. But now this whole split screen view is just awful you should have a setting to where we can go back to the old user interface style. Just updated to v1.50.5: 3 issues. 1) previous highlights were erased. 2) Unable to apply highlights to some sections (eg unable to highlight some chapters in the AIM, but still works in chapters of the FAR). 3) Tools>Highlights>Selecting ‘Highlighted’: the side panel where the text + highlight(s) should be is blank. 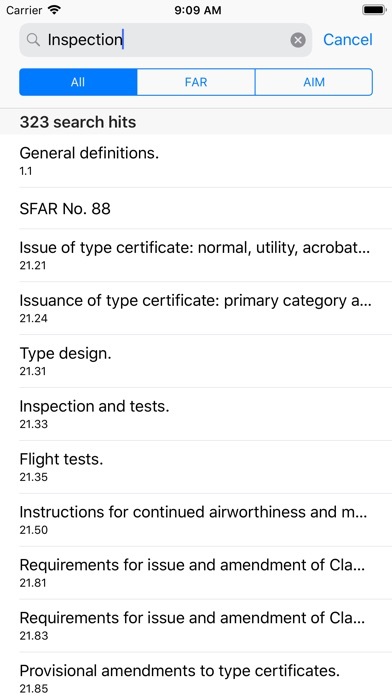 The App is 5 Stars, but this new update took away all of the highlights I made and I have an important checkride next week and have to go through and re-highlight everything. Horrible timing. Not happy. As of 9 APR 2019, I can confidently say that this is THE Far/Aim app to purchase. Formats excellent on iPhone X/Xs/XsM and iPad Mini / Pro (just updated). The “Study by Certificate” feature is also incredibly beneficial, you can highlight, as well as bookmark too. This isn’t a study guide app, this is the Far/Aim. I recommend this to all of my fellow aviators. Great app! I love the ability to have FAR at the reach of my fingers but every time there’s a new update I loose all my previous highlights. Please do some good testing of the app before releasing any new updates. I was just wondering why I do not see FAR Part 139 in an app titled FAR.